W ho’s more qualified than the Champagne Papi to launch his own line of champagne for 2019. It’s still early for releases but while the Toronto native is taking some time away from his recent music tour with the Migos, he has recently announced plans to launch his own line of exclusive ‘brown bottled’ champagne. Bottled by Brent Hocking who has roots located in France’s Vallée de la Marne, a sub-region of the Champagne wine region dating back to 1892. The two experienced, businessmen has teamed up to introduce ‘Mod Rose’ Selection of Champagne moderately priced at $420 (according to the retail SipWhiskey website). 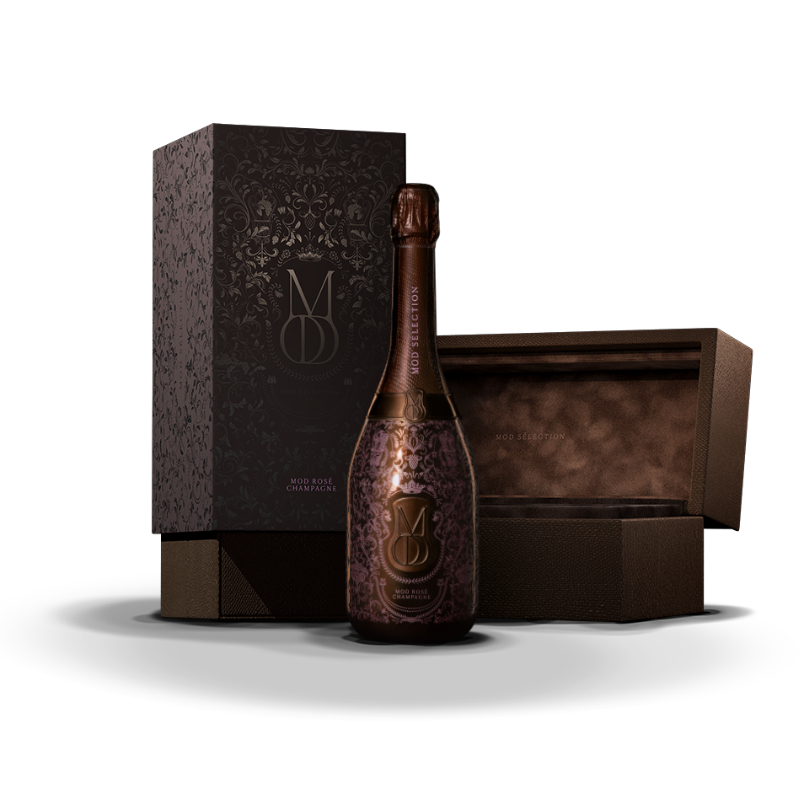 The package available in a chocolate brown, as well as the special designed bottle is also a work of art adding a rich brown metallic embossed pattern and embellishments handcrafted and “applied by the finest artisans in Champagne,” ensuring no two bottles are ever exactly alike, which gives the brand by the OVO front man an exclusivity in the spirit industry that no entertainer has. Currently available in Reserve and Rosé varietals, Mod Sélection is priced at $300 and $400 respectively for 750 ml bottles, with magnums and jeroboams to come for the ballers who will surely be drinking this stuff in large quantities. Look for single vineyard, vintage, blanc de blancs and other expressions to be available in the months ahead.